Past Simple "How did people live in 1900?" 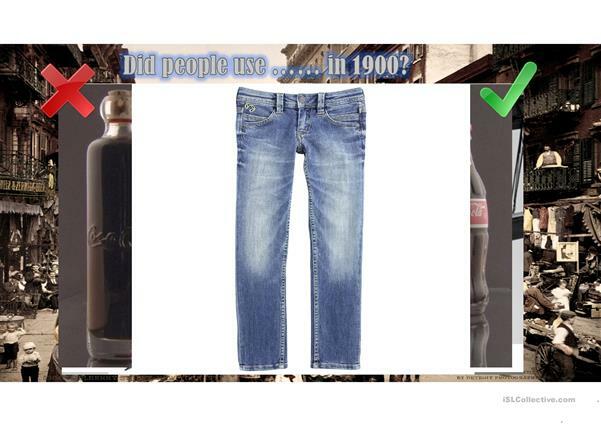 The aim of this presentation is to drill questions and short answers in the past Simple Tense. 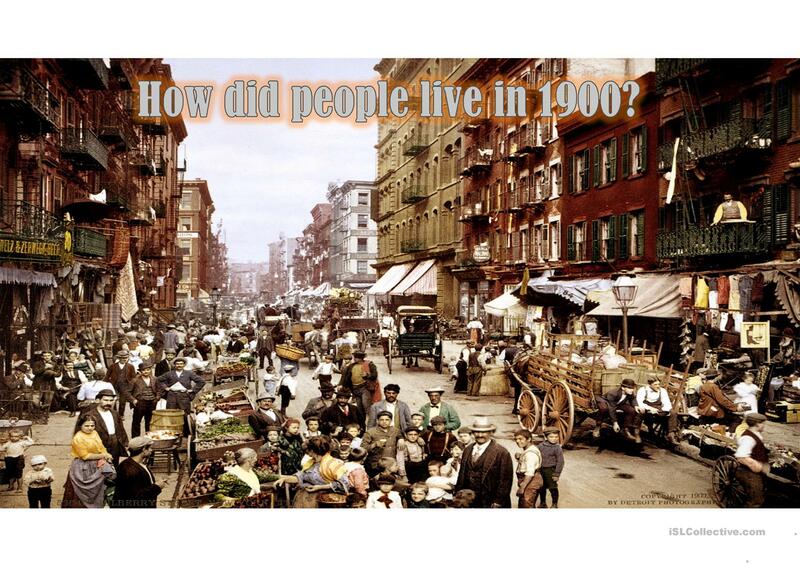 You will see some objects which can or can't be used in 1900. Ask your students to work in pairs. The present downloadable teaching material is best suited for high school students and elementary school students at Beginner (pre-A1), Elementary (A1) and Pre-intermediate (A2) level. It is aimed at consolidating Past simple tense in English, and was designed for developing your class' Speaking and Reading skills. paradise092 is from/lives in Russia and has been a member of iSLCollective since 2013-12-24 22:02:05. paradise092 last logged in on 2019-04-22 18:48:04, and has shared 60 resources on iSLCollective so far.